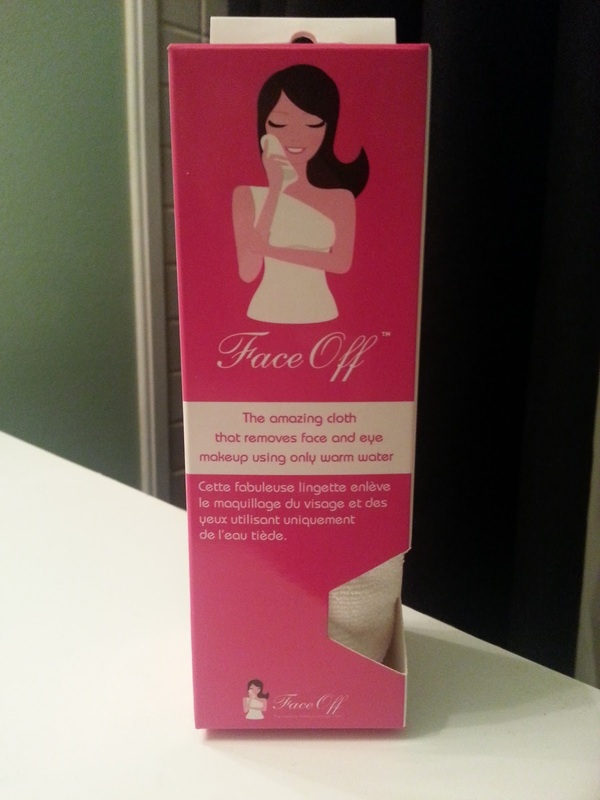 Deidre's Discoveries: The FaceOff Challenge! I know, you're probably wondering what The FaceOff Challenge is. Let me tell you, it's a challenge that all of us makeup wearers would like to take part in. The FaceOff Challenge is a campaign that a lot of other Canadian based bloggers have taken part in. We were sent a FaceOff Cloth in exchange for our honest reviews. 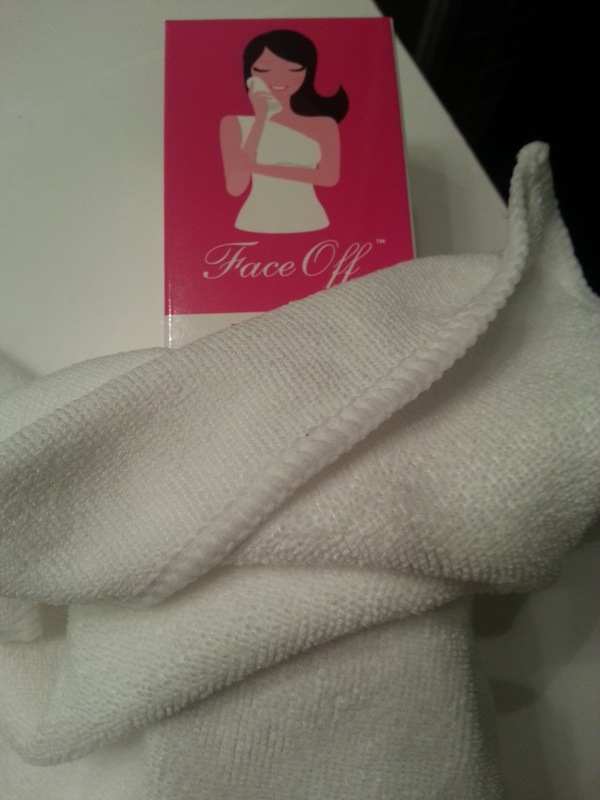 The FaceOff Cloth is a cloth that removes face and eye makeup using only warm water, and this magical soft microfibre cloth. If you have been in the blogger world, then you have probably heard of the makeup eraser. I've never tried the original makeup eraser, because $24 Canadian to me, is a little crazy for a cloth. But I have seen reviews and I've always been impressed with how it works. I did have a chance to try a knock off version sold by Macee Leigh (review here) and I did like it. I was given the opportunity to try FaceOff and I knew I needed to try it because I was looking to replace the older cloth - that had managed to go missing. The FaceOff cloth is made from a unique weave of ultra-thin microfibres, that were designed to gently lift dirt and impurities, leaving the skin naturally clean and smooth, while providing an innovative, healthier solution to meet your skincare needs, without the added detergents and chemicals that can sometimes be found in our skincare products. What is also awesome is that it is reusable, so theres no extra added garbage being produced from all of those makeup remover wipes or even the cotton pads. 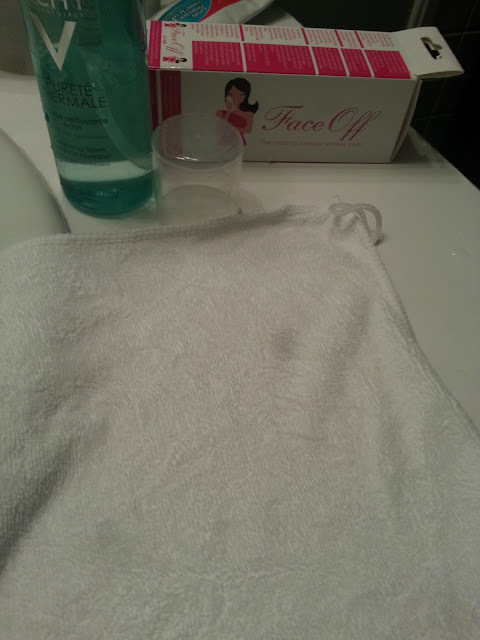 As you can see in the above photo, I have used the FaceOff cloth to remove half of my face makeup. I also used it on my eyes, and at the time I was wearing waterproof mascara. I found the cloth to be soft, yet it does gently exfoliate your skin. It does easily remove your face makeup, but I would say that it does struggle just a little bit with the waterproof mascara. I did have to go over my eyes a couple of times to be sure that it got every bit off. I would say that I had to put a little more force into it, which is not good for the eye area. 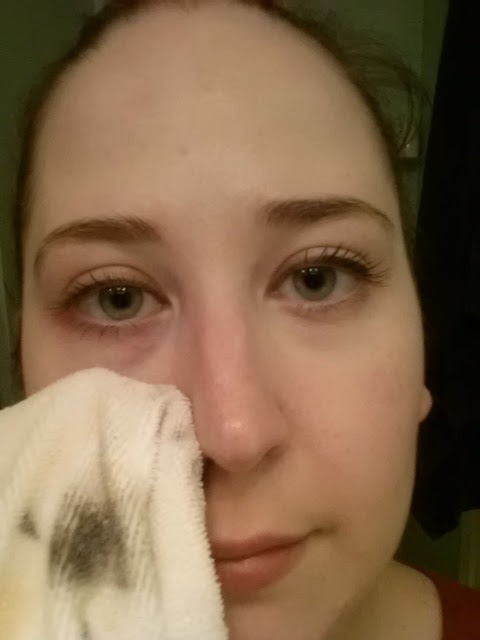 I would suggest maybe using an eye makeup remover before using the cloth if you were wearing waterproof makeup. It pretty much got every stain out of it. I was very very impressed by this! I have read that you can also use your normal hand soap, or body wash, to clean it as well, but I felt using a face cleanser might be better for my skin... especially on my face. It is recommended to hang the cloth to dry, and you can also throw it into your washing machine. Just make sure you don't use bleach or fabric softeners if you do decide to add it into your laundry. The cloth is recommended to be replaced every 3-4 months, which is a generous amount of time. Overall, I thought this was a great product. 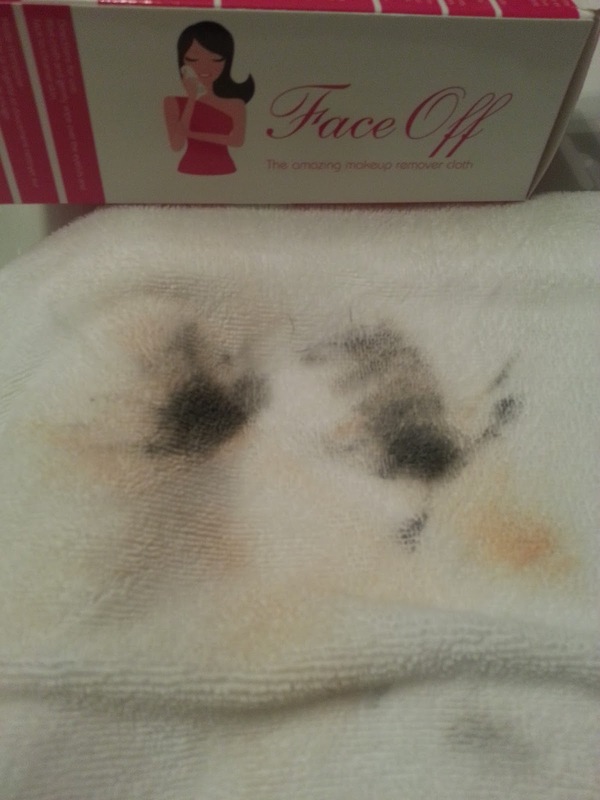 It really was an easy way to remove my makeup, especially on those nights where you feel kind of lazy. I always make it a point to remove my makeup at the end of the day, but sometimes you have those nights where you just don't want to get up. This is when this comes handy. I will say I didn't like how it struggled a little with the waterproof mascara, and I didn't like the extra tugging on my eyes, but sometimes makeup remover even has a hard time with waterproof mascara. This is a great way to reduce your garbage. And if you feel like your face just isn't clean enough, you can always wash your face first with your normal cleanser and then go in with the FaceOff, or even the other way around. If you're interested in trying out the FaceOff cloth, you can order it online here. And by the way, it's only $13 Canadian. Pretty much half of what the original makeup eraser sells for! I would be interested in purchasing another in a few months when it's time to replace it! I just love the convenience of it.